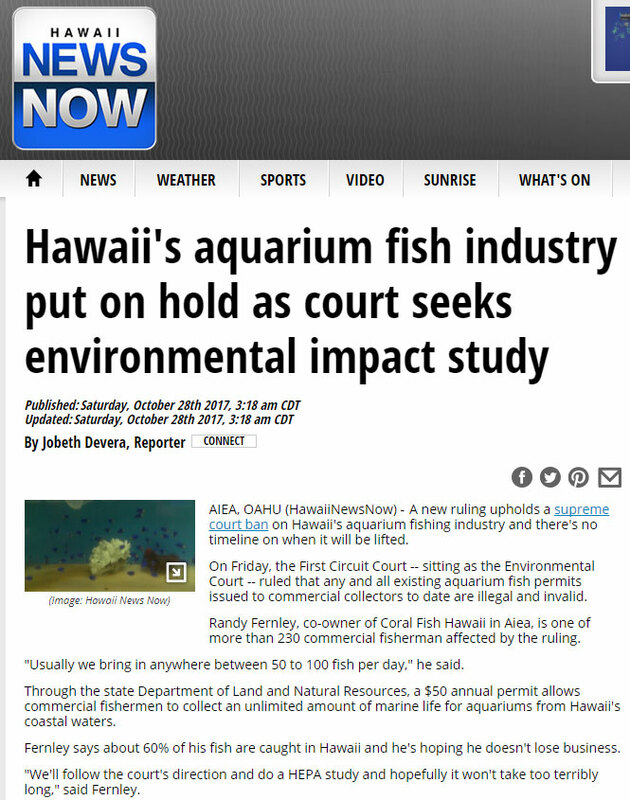 A screenshot of Saturday morning’s headline at Hawaii News Now will leave many shocked, as courts officially close Hawaii’s Marine Aquarium Fishery. Click to read the fully story at Hawaii News Now. 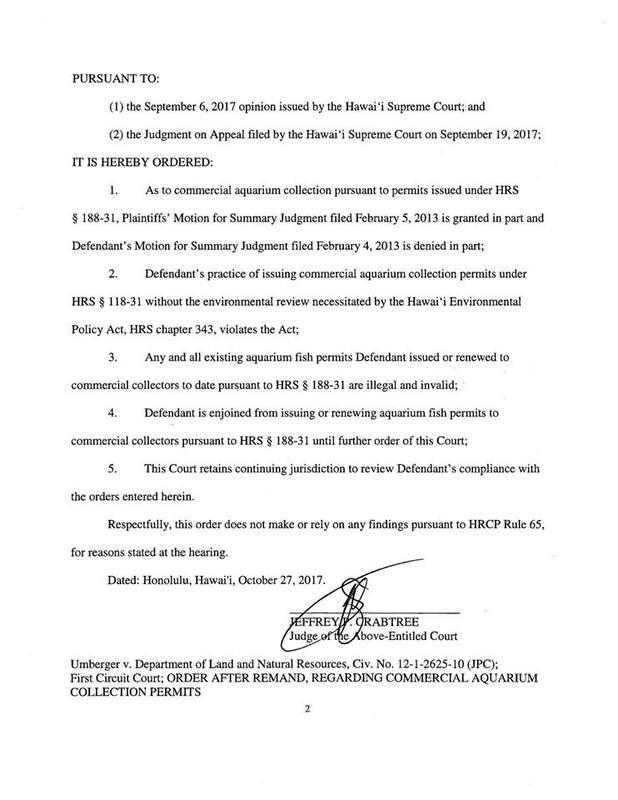 Hawaii’s DLNR is now forced to undertake a Hawaii Environmental Policy Act (HEPA) review of the fishery, and according to the story there is no timeline for if, or when, the fishery could be reopened. Read the full story by reporter Jobert Devara on the Hawaii News Now website, with commentary from all sides in the ongoing debate over Hawaii’s Marine Aquarium Fishery. 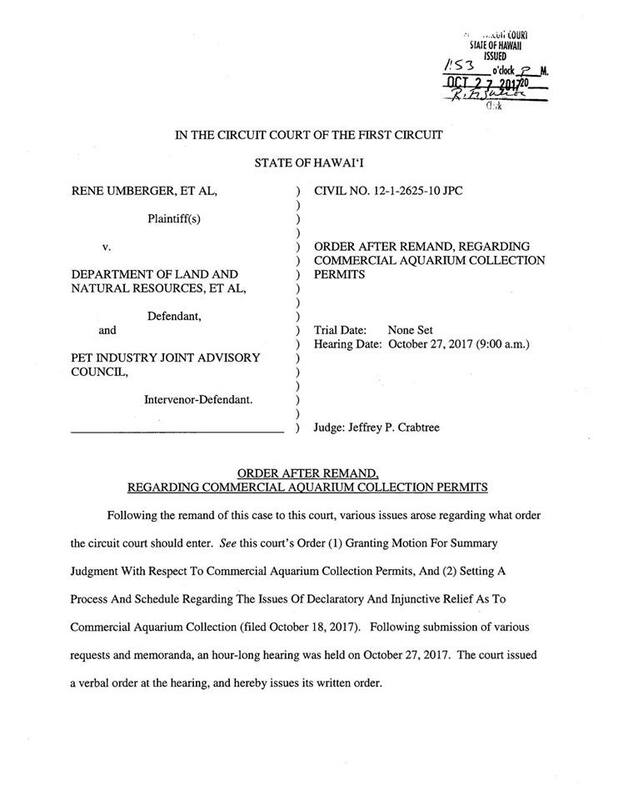 The official order as issued by the First Circuit Court has been made available. Image-based copies are below. We will attempt to furnish more information and reactions in the days ahead.